The 1966 production of Stagecoach is packed with star-power, wit, and action. The Westernaires Cavalry riders were invited to play members of an 1880 U.S. Cavalry troop escorting an Overland Stagecoach full of characters from Dry Fork to Cheyenne. The film stars Ann-Margaret, Slim Pickens, Red Buttons, Alex Cord, Bing Crosby (in his last film), Van Heflin, Stefanie Powers, and many others. The picture was beautifully shot in the picturesque backdrop of Nederland, Colorado, at the Caribou Country Club Ranch and in the nearby parks. The Westernaires Cavalry appear in dozens of scenes in the movie. 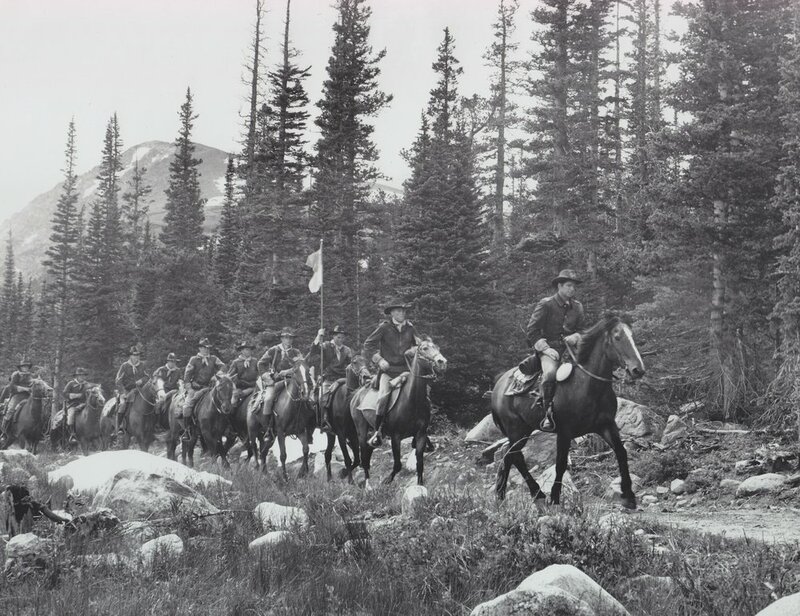 In the opening scenes, the Westernaires Cavalry team moves into a settlement and performs a few maneuvers. Next, the Cavalry team is called upon for stunt work and hand-to-hand combat with the Sioux insurgents who attack the settlement. 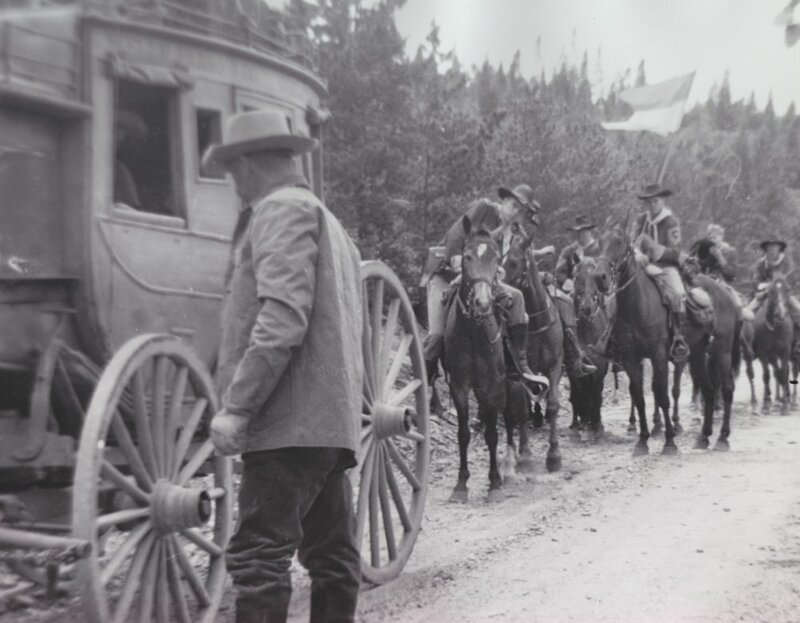 The Cavalrymen don't fare well in that battle, but the Westernaires are resurrected for numerous scenes as a different Cavalry troop who escorts the Overland Stagecoach during their perilous voyage to Cheyenne. "My brother [Harold Smethills] was the Captain of the Cavalry team from Westernaires used in this movie, with my horse [Lady Anne]... He was "killed" a bunch of times for which I cheered mightily. My horse was a unique color and the Blackfoot Indian consultants wanted and got a scene of her being taken as prize during one of the battles. Great fun was had by all. The Overland Stagecoach and Westernaires Cavalry team await the shooting of another scene in Stagecoach (1966). The first rider is Westernaire alumnus Harold Smethills riding Lady Anne. "[Lady Anne] is in several of the mounted cavalry shots... The SAG (Screen Actors Guild) required an accredited actor be in the lead and to be the one interacting or speaking with the other actors throughout the movie. The Westernaires Cavalry did the battle scenes and action shots. "Fun fact: my brother's horse was a palomino, which color simply was not around in the 1800's. Selective breeding has made palominos a popular and commonplace color nowadays. All the Westernaires who owned and normally rode palominos had to find other horses to ride for the movie, which is why Lady Anne got her chance to rise to fame in Stagecoach. "She [Lady Anne] was briefly featured in several spots in the movie. In her cameo, the script called for one of the Blackfoot Indians, all of whom were superb riders, to pull her from the picket line, jump on to claim her as his prize and continue on in the battle. She never liked men very much and threw him time and again. They wanted her in that shot, so finally compromised by having him ride up, take her from the picket line and LEAD her away. Lady Anne always was a bit of a diva." Westernaires have made dozens of appearances in major motion pictures, television series, television shows, regional films, and stage performances since their founding in 1949. The Westernaires Cavalry team takes a break from shooting Stagecoach (1966). Centered in the top row, the stars (left to right) are: Bing Crosby, Van Heflin, Red Buttons (with his face covered), Joseph Hoover, and Slim Pickens (clowning around). 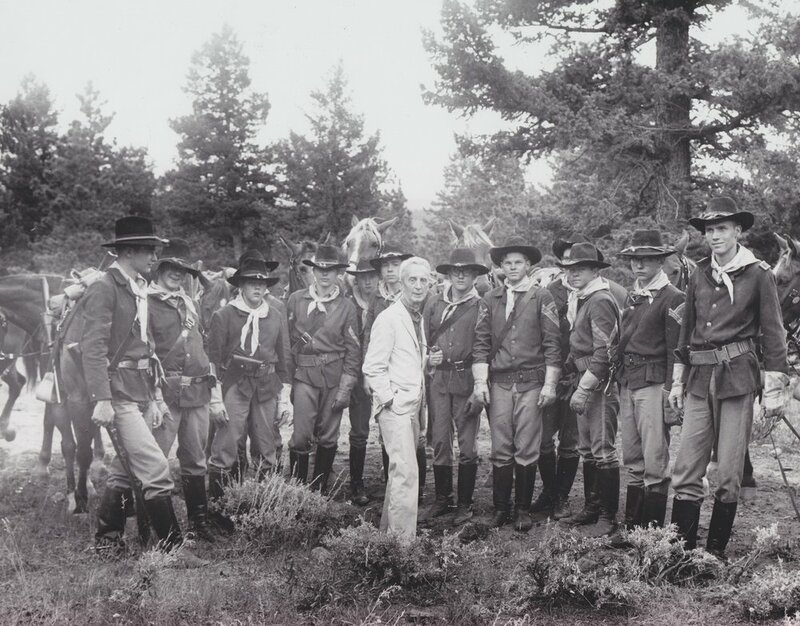 Westernaires Cavalry receives direction for the opening scenes of Stagecoach (1966) whereby settlers and Cavalry troops are attacked by Sioux. 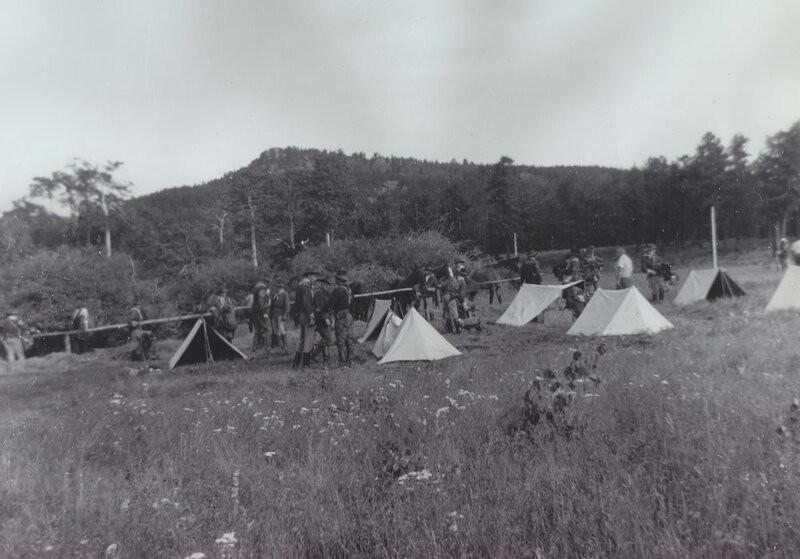 On the set of Stagecoach (1966), in the opening scenes where the Sioux attack an encampment of homesteaders and Cavalrymen. Westernaires working on the opening scenes of the movie Stagecoach (1966). Spoiler alert: the Cavalry doesn't survive in this scene. Production crew on the set of Stagecoach (1966) preparing for shooting the opening scenes. The Cavalry team performed stuntwork in the skirmish with the Sioux in Stagecoach (1966). Production crew and Westernaires on the set of Stagecoach (1966) preparing for the opening scenes. A settler receives a hatchet in the face in the opening scenes of Stagecoach (1966). The Westernaires Cavalry team relaxes between scenes.